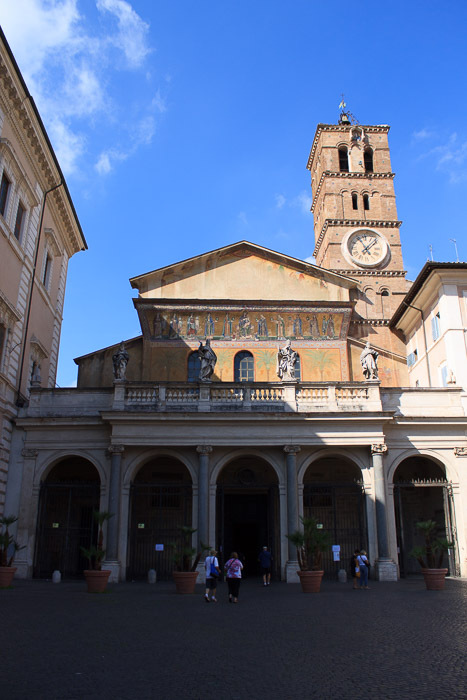 Santa Maria in Trastevere is one of the oldest churches in Rome, with the first sanctuary built in 221 AD and the basic floor plan and wall structure constructed in the 340s AD. This might be the first church in which Mass was celebrated openly. The present nave preserves the original pre-12th century plan and stands on earlier foundations. The mosaics on the facade (1st photo below, and closer photos in the "see also" below) are from the 12th century. They depict the Madonna enthroned and suckling the Child, flanked by ten women holding lamps. The octagonal fountain in the piazza in front of the church predates the year 1472. 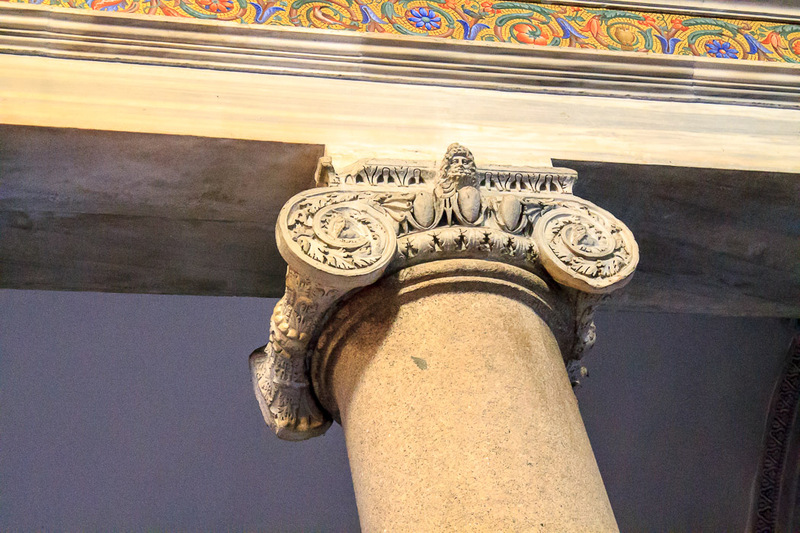 Inside, the 22 granite columns (4th photo below) with Ionic capitals (5th photo below) and Corinthian capitals that separate the nave from the aisles were reused from the ruins of the Baths of Caracalla, or possibly from the nearby Temple of Isis on the Janiculum Hill. A close look at the capitals reveals heads of pagan deities. The columns support archtraves rather than arches, which makes the church look older than it really is. 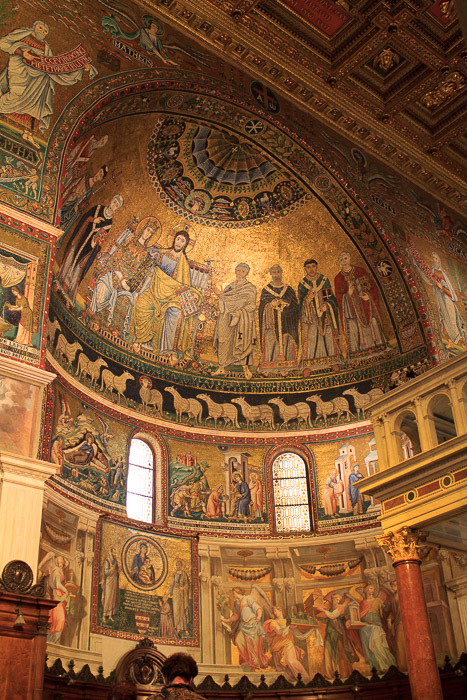 Above the columns are paintings of saints, ordered by Pope Pius IX in 1865-1866. The church has a gilded, wooden ceiling and a Cosmatesque (inlaid stonework) floor. 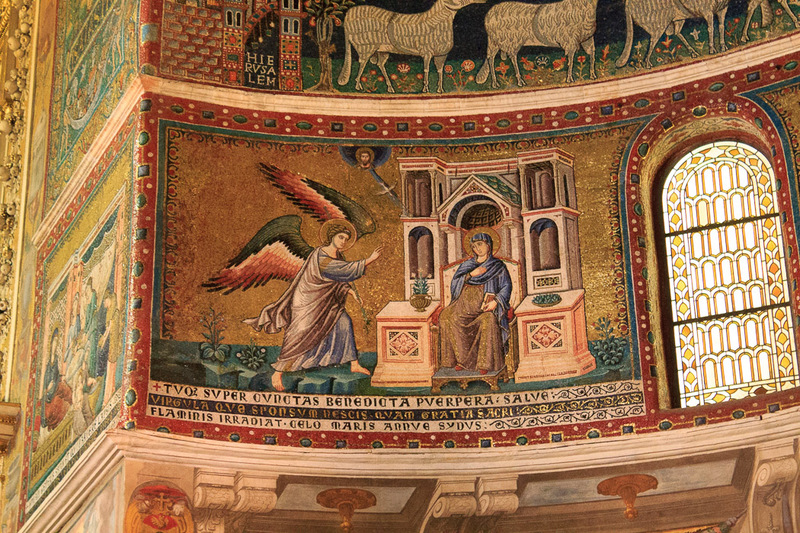 The apse mosaics (2nd and 3rd photos below) date from about 1140. The triumphal arch depicts the Four Evangelists, the prophets Isaiah and Jeremiah, caged birds representing sin, seven candelsticks, and Christogram (chi-rho). 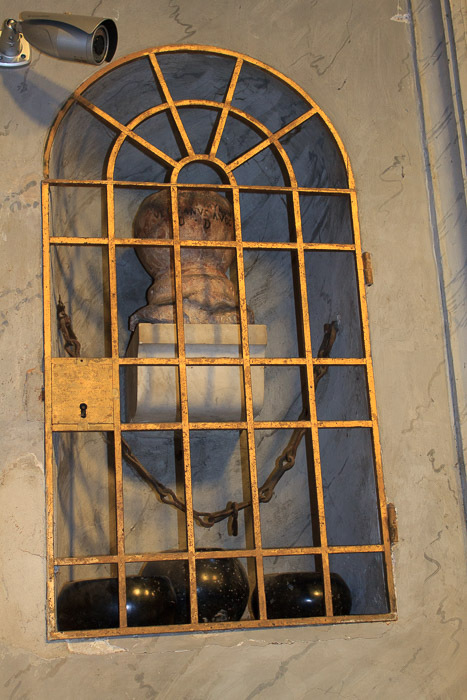 Official standard weights of Rome (6th photo below) can be found in a wall niche covered by a grille.